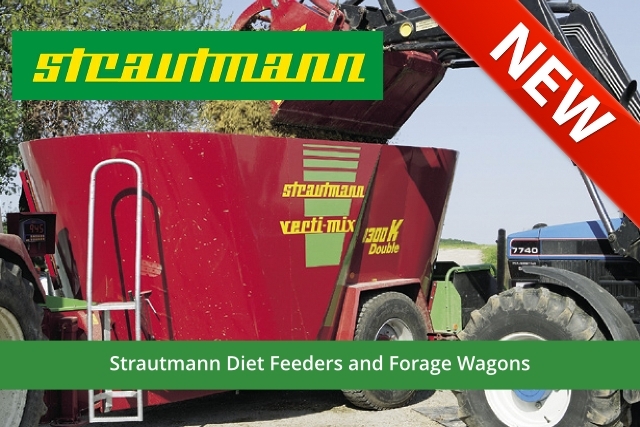 Strautmann Diet Feeders and Forage Wagons now available. We can now supply the range of Strautmann ‘Verti-Mix’ Diet Feeders and the Zelon CFS, Super Vitesse CFS, Giga Vitesse CFS and Tera-Vitesse range of Forage Wagons in and around North Yorkshire. Strautmann is a medium-sized family-owned machinery manufacturer based in Lower Saxony in Germany and since its establishment over 80 years ago, have developed market leading expertise in the fields of agricultural transport, livestock feeding, forage harvesting and muck spreading. We can also service and supply spare parts for Strautmann Diet Feeders and Forage Wagons, so for any new sales, service or spare parts requirements, please contact us.